TALLAHASSEE — Florida’s orange crop forecast has held steady since the end of 2018, while projections for other types of citrus have been reduced. The U.S. Department of Agriculture, releasing January and February forecasts on Friday, reported Florida remains on pace to grow enough oranges to fill 77 million 90-pound boxes during the current season. The forecasts were the first released since December because of the partial federal government shutdown. 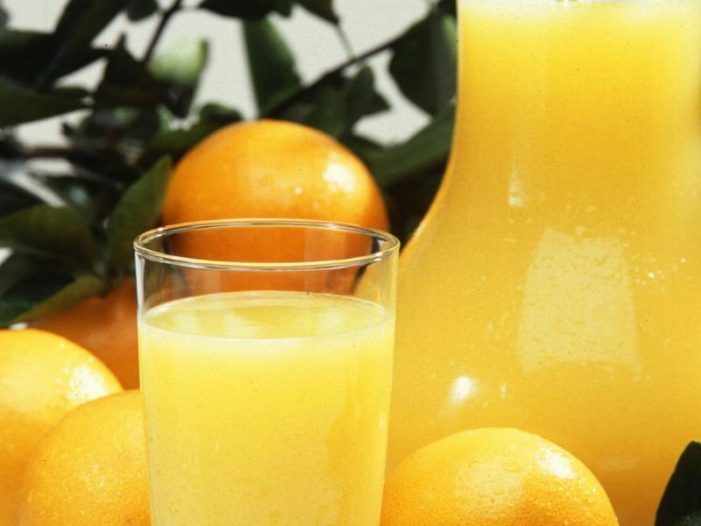 The new forecast for oranges remained unchanged from December. Florida is also expected to produce 6 million boxes of grapefruit, down 6.25 percent from December, and 1 million boxes of specialty citrus such as tangelos and tangerines, off 16.7 percent in the past two months. “We would’ve liked to hold onto more grapefruit and specialty fruit but it’s a reminder that there are challenges remaining in our industry that we continue to work toward solving,” Shepp said in a prepared statement. The figures — down slightly overall from the season’s first forecast in October — continue to be an improvement on the 49.58 million boxes of oranges, grapefruit and other citrus harvested during the 2017-2018 season, when the industry sustained heavy damage in Hurricane Irma. The current forecast is also an improvement on the 2016-2017 season, which produced a decades-low 68.7 million boxes of oranges. Grapefruit remains down this year from two years ago, when enough was produced to fill 7.8 million boxes. All of the figures pale for an industry that two decades ago produce more than 200 million boxes of citrus a year. In addition to devastation from Hurricane Irma, the industry has struggled with deadly citrus greening disease, population growth moving into former groves and changes in drinking habits. The forecast figures for January and February also indicate fruit being picked is smaller per piece. U.S. Department of Agriculture state statistician Mark Hudson said oranges per box went from 261 in January to 266 in February. White grapefruit went from 120 per box in January to 124 per box in February. It took 131 red grapefruit to fill a box in January. A month later, the average was 137 pieces of red grapefruit per box. The citrus industry hopes that federal disaster-relief money from Hurricane Irma will help it continue to rebound from last year. Jared Moskowitz, director of the Florida Division of Emergency Management, said Wednesday that the state recently awarded $14 million from a $343 million federal block grant for the industry and continues to process and accept applications from growers. The distribution has moved forward after the end of the partial federal government shutdown. Moskowitz said the shutdown affected the ability of the state to process applications for the money. 4 Responses to "Orange Crop Numbers Remain Steady"
Sigh…yawn…its just not the same without Mayor Andy to kick around anymore. Maybe we just need some more FBI indictments to liven things up a bit. There’s just got to be some more interesting indictments coming soon. Hopefully much more interesting than that boring Maddox and that Page whats her name woman. Sigh…yawn…I am NOT being entertained…………………………………………oh sorry……..I nodded off there for a moment. Think I want a glass of orange juice for some reason though. Orange you glad you read this instead of Curtis’ pre-vote text to the AKA queen bee? Did Curtis reveal the content of the text? It is either innocuous or significant, but citizens have the right to know what it said. Either reveal the contents of the text, Curtis, or resign.